Motel 6 Saukville is located in Saukville. Free WiFi access is available. Each room here will provide you with air conditioning and a cable TV. 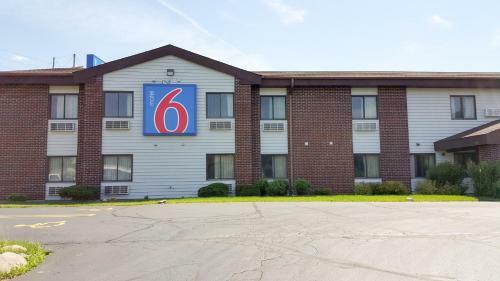 At Motel 6 Saukville you will find a 24-hour front desk. The property offers free parking. Super 8 Saukville Milwaukee is located in Saukville. Make yourself at home in one of the 70 air-conditioned guestrooms. Complimentary wireless Internet access keeps you connected, and cable programming is available for your entertainment. Conveniences include irons/ironing boards and clock radios, and housekeeping is provided daily. Don’t miss out on recreational opportunities including a spa tub and a sauna. This motel also features complimentary wireless Internet access and concierge services. Featured amenities include a 24-hour business center, business services, and a 24-hour front desk. Free self parking is available onsite.